While comfort plays a role in determining the true method of carrying the bow, its presence does not necessitate entire propriety; the “okay” feel of the positioning does not make the positioning completely good. If, for example, a user holds the bow in the palm of her hand, gripping it as one would a baseball bat, she might experience some ease in carrying the tool, but decent playing action is an unlikely occurrence. If she holds with a hand-shape that is more proximate to a proper one, but has her fingers spread apart from each other, she might experience trouble in playing quick passages or tremolo phrases, and will find emotion a trial to convey. This article serves to aid beginners in their quests for bow-hold-justice. It will give clear and precise instructions, and will fill in information about obscure terminology as needed. One should know, though, that, even while under the care of an excellent teacher or the lead of a video guide, the achievement of a fantastic bow-hold is challenging, as it requires hand-placement that is uncommon in most everyday activities. It may leave that part of the body soar and its user tired and frustrated. However, with endurance and time, nearly anyone can develop great bow-holding techniques, and can learn to appreciate the unique formation of fingers. The following list should provide the stones on which one can walk to attain a formidable bow hold. Before diving in, a major ‘don’t’ of holding a bow should be pointed out: touching the horsehair. Almost any teacher will advise an initiate to avoid bring the horsehair into contact, at all, with the hand. 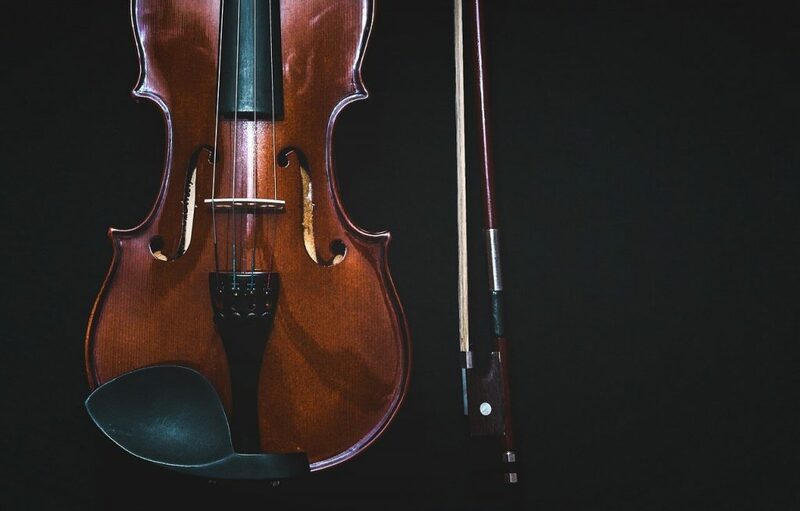 The oils that end up on our bodies’ surfaces can dampen the hair, causing a reduction of friction between bow and string, and resulting in less-substantial sound. A violin bow looks much like the bows of the viola and cello, and functions in nearly the same way. The bottom of the utility, about its horizontal axis, contains the hair (typically horsehair) of the bow, and, from the violin outfit, it is the stuff that comes in contact with the violin’s strings most. 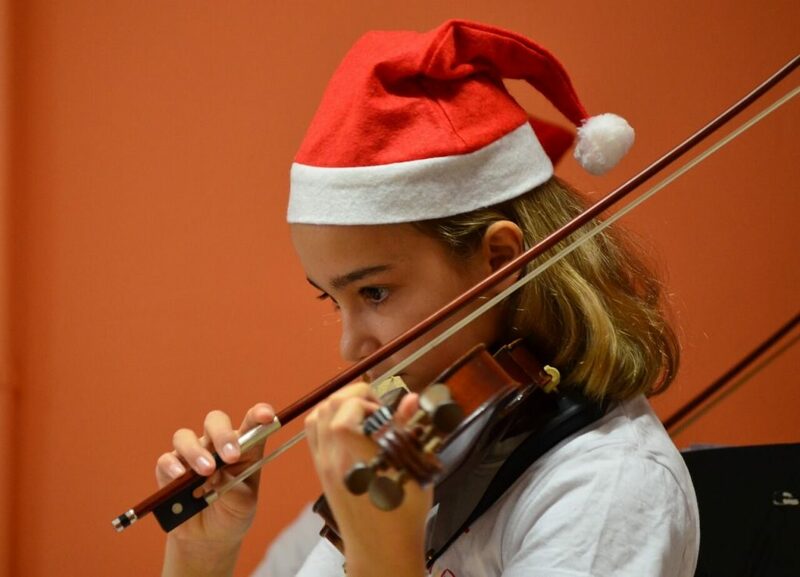 The wooden part – the stick – of the bow is the top, and it is the piece on which a performer’s fingers usually rest (some compositions call for the bow to be held upside-down, so that the wood strikes the strings, and the fingers rest elsewhere). Relative to the bow’s length, the bottom block is the ‘frog’. Near it is a metal nut that can be used to adjust the stiffness of the hair, and, often, a rubber grip for the index finger. The top of the bow is the tip, and is normally pointed (perhaps in an aerodynamic manner). One’s hand rests on the bottom, colloquially called the ‘frog’, of the bow, and pushes it back and forth to create vibrations of the strings. On the horizontal bottom of the bow is a metal piece connected to a protrusion of wood. Adjacent and on the stick parallel to it is the aforementioned piece of rubber on which the index finger should rest. The fingers are placed on the surrounding areas of the bow as follows. The thumb – for most users, even left-handed ones, the right-hand thumb – is inserted between the rubber piece and the wooden block that connects the bow hair to the stick (the frog). The ring and middle fingers touch the stick and droop over the frog, and the tip of the pinky finger puts pressure on the stick’s end, just before the metal nut at the extreme. The index finger rests on the rubber piece, balancing the bow. All the appendages of the hand, including the thumb, should be curled, so that they cushion the bow and act, in a sense, as shock absorbers to soften the blow of impact. This might be a lot to take in. An easy way of putting the fingers into position is by bringing the bow to the belly button with the left hand, with the horse hair facing up. Once the bow is in place, the right hand’s thumb can be inserted between the linear parts of the bow. The face of the thumb should be placed between the rubber piece and block, on the bottom of the stick (not the horsehair side), and should be curled. The middle and ring fingers will curl up from underneath the stick and against the block. The index will curl over the rubber piece, and will just out slightly from beneath the tool. The pinky will curl onto the stick, where its tip will rest. Once all the fingers are placed, the left hand can be removed, and the bow can be (quickly!) placed onto the violin’s strings. A common analogy that teachers provide students with is that of the tailed fisherman. The image depicted is that of a tailed humanoid sitting on a dock, with his two legs dangling from the edge, his right hand resting on the dock, and his left hand holding a rod over the water. The fisherman’s tail curls out behind him and underneath the dock, balancing with the weight of his body and rod. The man’s legs are the middle and ring fingers, the resting hand is the pinky, the hand holding the rod is the index finger, and the tail is the thumb. When I was a kid, I got a kick out of this imagery, and it helped me to learn and teach about proper placement. This list, in addition to videos, online and peer advice, and one-on-one teaching sessions can help in realizing the standard way to hold a bow. To achieve the positioning, though, much practice is required, first and foremost; without this, all else has little effect on the subject in question.